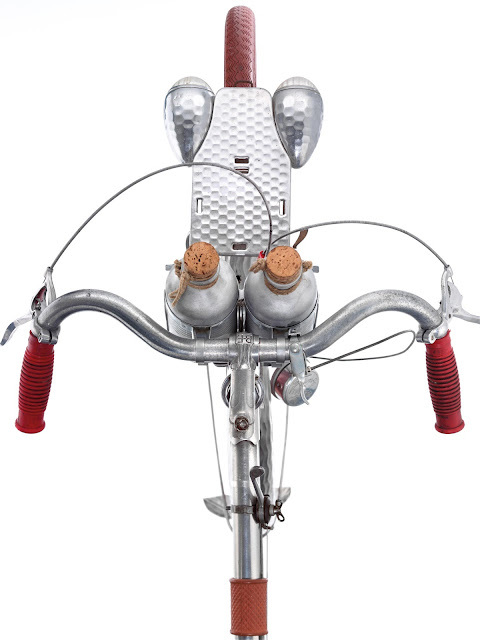 French randonneur (or touring) bicycles of the 1940's and 50's have some particularly interesting history. These custom made aluminium bicycles were a testament to boutique bicycle manufacturers across the French countryside. Compared to other bicycles built around the world at the time, most custom made randonneur bicycles were well ahead of the rest in terms of design and style. 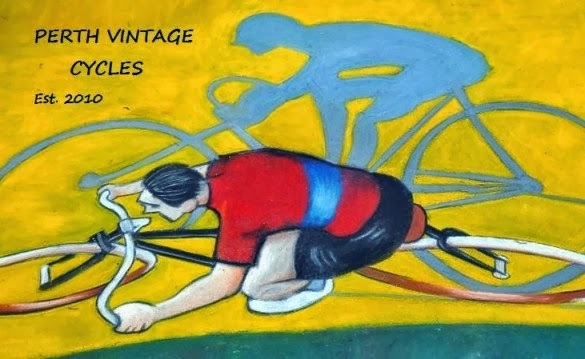 Custom built randonneur bicycles were quite expensive and due to their cost were often playthings for the rich and famous. Many examples still exist and are often sold at auction for reasonably high prices. 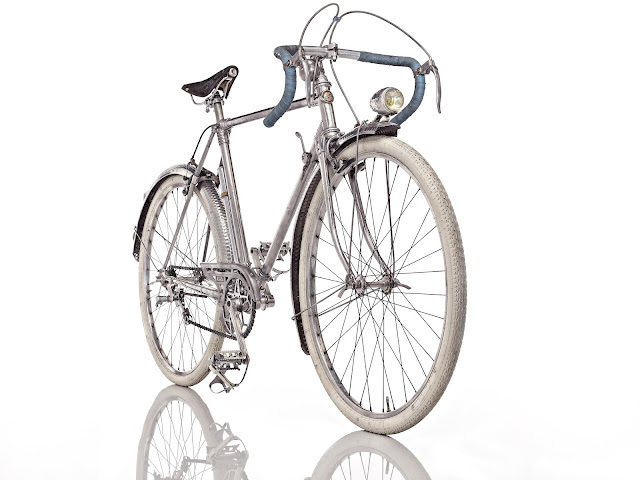 Here is an AVIAC bicycle that was made in Courbevoie, near Paris in the 1950's. 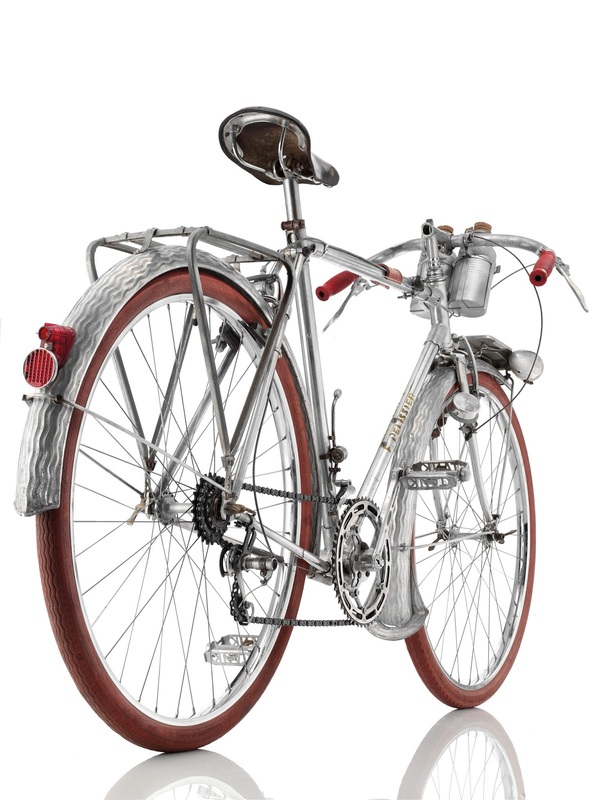 This was quite an advanced bicycle for it's time as it was made from lightweight aluminium and had cable routing that ran through the frame. This particular cycle has Simplex gearing. 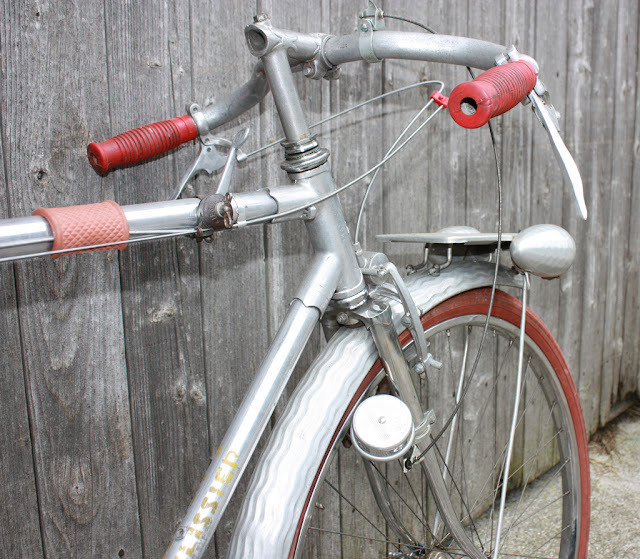 The hammered aluminium fenders are beautiful. 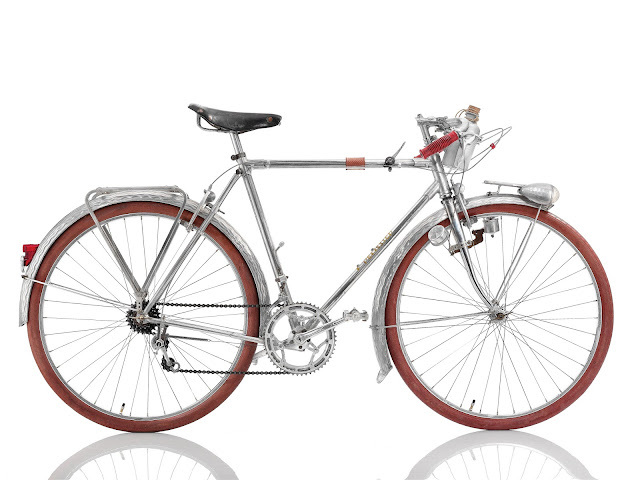 Here is another from the same era made by MERCIER, this being the Mecadural Pelissier model. This was also very lightweight for its time. 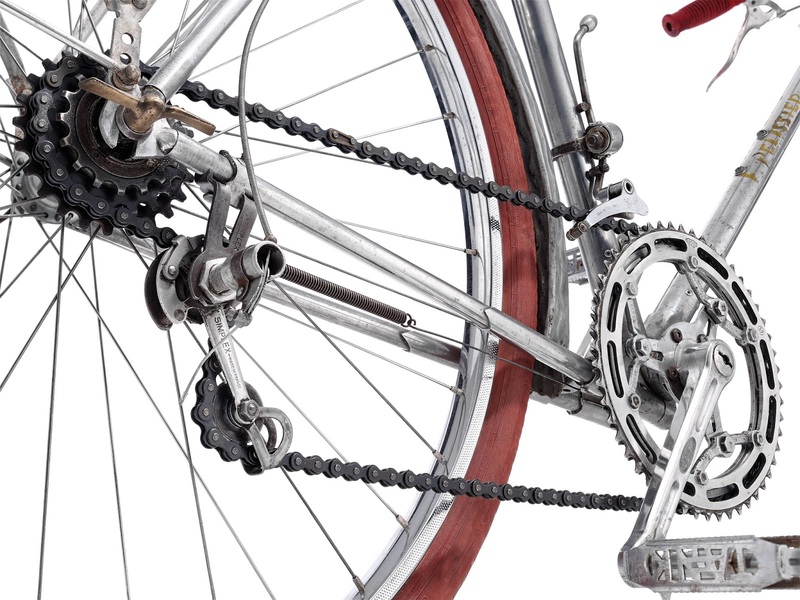 During this period aluminium could not be welded and so the lugs held the aluminium tubing together with expander bolts. 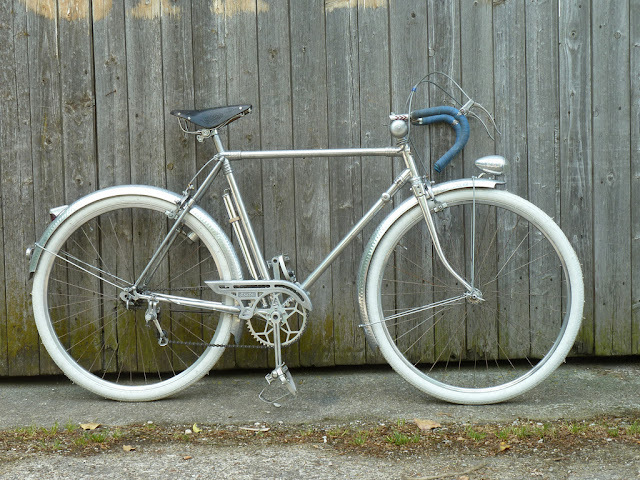 Another breath taking example of the fine art of French bicycle manufacturing from the 1950's. 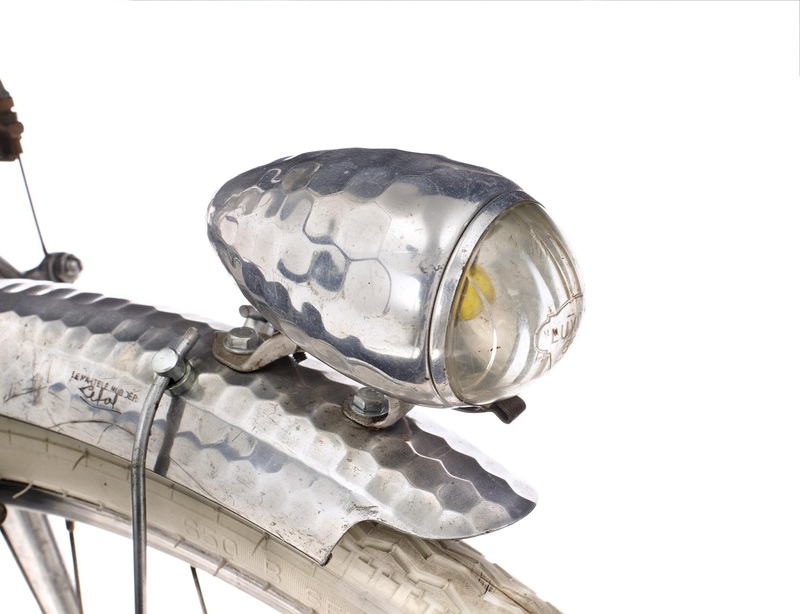 Most randonneur bicycles had built in lighting systems to enable the traveller to ride at night. 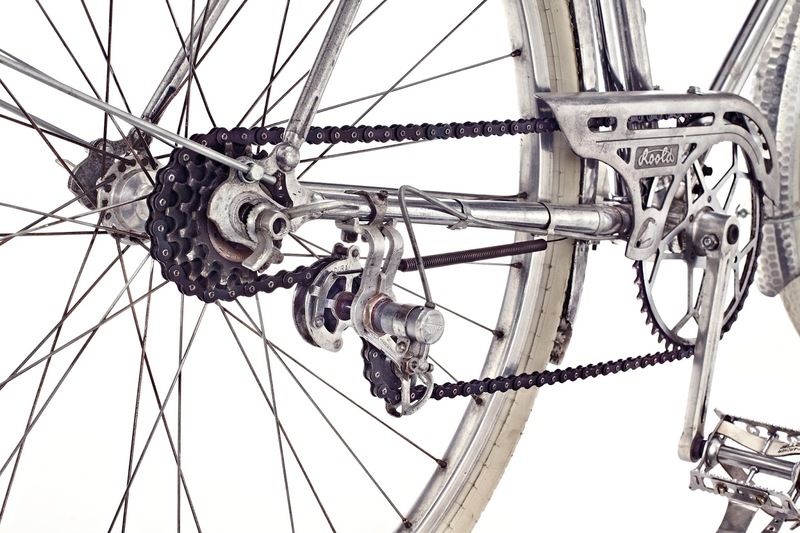 The 650B tyres were quite forgiving which enabled the randonneur rider to travel on rough roads throughout the French countryside. Thanks very much to Bernhard Angerer for the great photos.